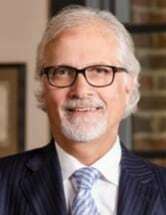 Charles H. Rittgers is Past President of the Ohio Association of Criminal Defense Lawyers, Past President of the Warren County Bar Association , and a Founding Member of the National College of DUI Defense. He is also a member of the Million Dollar and Multi-Million Dollar Advocates Forum (groups limited to lawyers who have won million and multi-million dollar verdicts and settlements), and a member of the Ohio Association for Justice and the American Association for Justice. Mr. Rittgers is a Fellow of the American College of Trial Lawyers which is recognized as the preeminent organization of trial lawyers in North America, dedicated to maintaining and improving the standards of trial practice, professionalism, ethics and the administration of justice. Admission into the College is by invitation only. Mr. Rittgers has been chosen by his peers as an Ohio Super Lawyer in every year since 2008. Mr. Rittgers is accustomed to handling high profile criminal and civil cases which garner local, regional and national attention. As a result, he has been asked to appear on national television shows including Dateline NBC, the O'Reilly show, Inside Edition, and CNN. Because of his vast experience, Mr. Rittgers has also been asked to teach at a major university.